Cliona’s Foundation was humbled to be presented with a €4,900 cheque in Boher Co. Limerick. The people of Boher community never fail to impress us with their support. 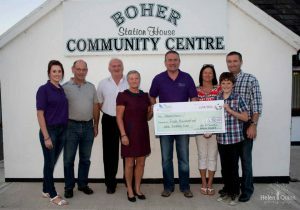 In May they held the second annual Boher cycle in memory of local girl Ciara McCarthy and raised this amazing figure for Cliona’s Foundation. Heartfelt thanks to everyone involved.